Το Lanta Long Beach Hostels, στην περιοχή Παραλία Πρα Αε σε Κοχ Λαντα, αποτελεί δημοφιλή επιλογή για τους ταξιδιώτες. Το συναρπαστικό κέντρο της πόλης είναι μόνο 6 KM μακριά. Με την βολική του τοποθεσία, το ξενοδοχείο προσφέρει εύκολη πρόσβαση στους προορισμούς της πόλης που πρέπει οπωσδήποτε να δείτε. Οι εγκαταστάσεις και οι υπηρεσίες που παρέχει το Lanta Long Beach Hostels διασφαλίζουν την ευχάριστη διαμονή των πελατών. Μια επιλογή από εξαιρετικές ανέσεις όπως τα δωρεάν WiFi σε όλα τα δωμάτια, υπηρεσία ταξί, υπηρεσία εισιτηρίου, ασύρματη σύνδεση Wi-Fi σε δημόσιους χώρους, χώρος στάθμευσης οχημάτων σας περιμένουν στο ξενοδοχείο. Τα δωμάτια του ξενοδοχείου έχουν διαμορφωθεί προσεκτικά ώστε να παρέχουν υψηλό επίπεδο άνεσης και την ευκολίας. Σε κάποια από τα δωμάτια, οι επισκέπτες μπορούν να βρουν λευκά είδη, θυρίδα, καθρέφτης, σύνδεση internet (ασύρματη), ασύρματη σύνδεση internet (δωρεάν). Οι εξωτερική πισίνα, σπα, παιδική πισίνα του ξενοδοχείου είναι τα ιδανικά μέρη για να χαλαρώσετε και να ηρεμήσετε μετά από μια πολυάσχολη μέρα. Έξοχες υπηρεσίες και μια εξαιρετική τοποθεσία κάνουν το Lanta Long Beach Hostels την ιδανική βάση από όπου θα απολαύσετε την παραμονή σας στη Κοχ Λαντα. 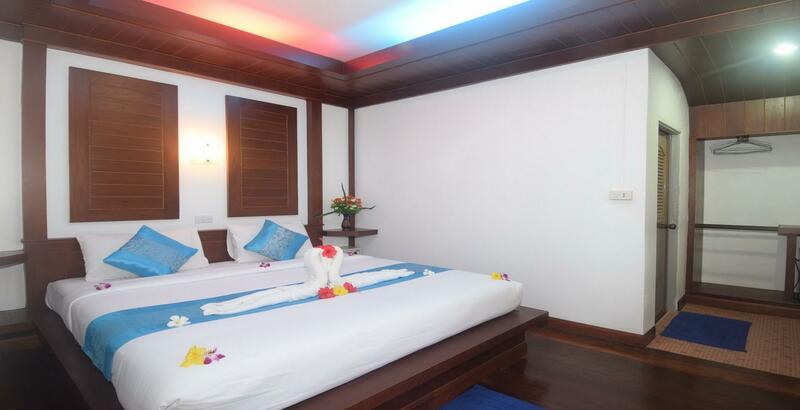 This place was great for a few nights in Koh Lanta. It was only about a 5 minute walk to the beach. The pool was great to cool down after a long day. There were many restaurants nearby to enjoy. The breakfast was good and the staff was friendly! Comfortable beds with privacy curtains, big lockers, individual lights, outlets, and electronic safes. The dorm was very clean and had a very chill laid back vibe. Not a party hostel! The pool was great, laundry service was good, and the hostel is maybe a 1 minute walk down a trail to the beach. I did say that I would recommend this place, but I also think that there are other places that might be a bit nicer. With small simple changes, I would have recommended it more highly. Pros- close to the beach, access to the pool. Security safe at your bedside along with light and plug in. Tables outside of the dorm where you could sit and read. Wifi was good. 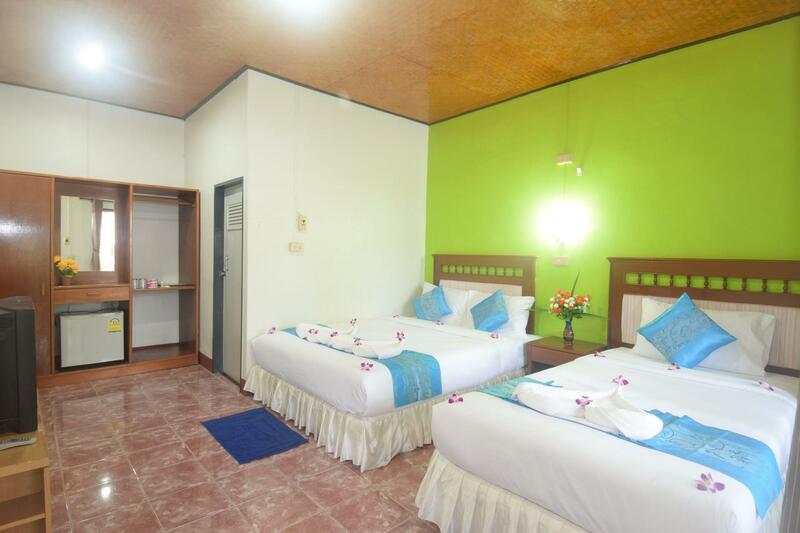 5 minute walk to the main road and restaurants, massage places, mini mart, shopping. Cons - beds are the hardest I have slept on. Bathrooms weren't the cleanest. When showers are right in with the toilets, it can be a bit messy, especially when there are 12 people using 2 showers/toilets. Recommendations: More clothes lines outside to hang wet towels and suits; Additional hooks in the bathroom for when you are taking a shower and need to hang things up. A hook at the bedside for your towel, toiletry bag etc. Much value compared with what you pay. 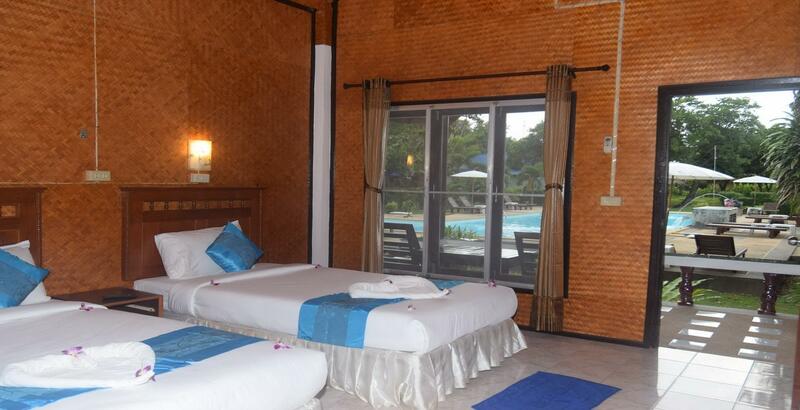 Close to the beach, a nice swimming pool and great staff. Good value for money. Clean but not immaculate. Nice pool area but again, ever so slightly neglected. Decent breakfast. Great location. Comfy rooms. One of the best hostels I have ever stayed! Amazing staff, so close to nice beach. Waned to stay 2 nights, ended up with 8 nights and still didnt want to leave! Many places to eat in the area. You can rent scooter in this hostel. I can only highly recomend this place! Make sure to enjoy the pool. Very nice and welcoming staff, great place to meet people! 2 nights turned into 7 nights. Close to everything. Met the most amazing new traveller friends. Pool is great. Beach is great. Crews are friendly. It gets cleaned every day. You can still have your private space with the curtains. Good place to meet fellow travelers to be friendly with. Close to the beach and pool. Close to 7 11 and nearby food places.. 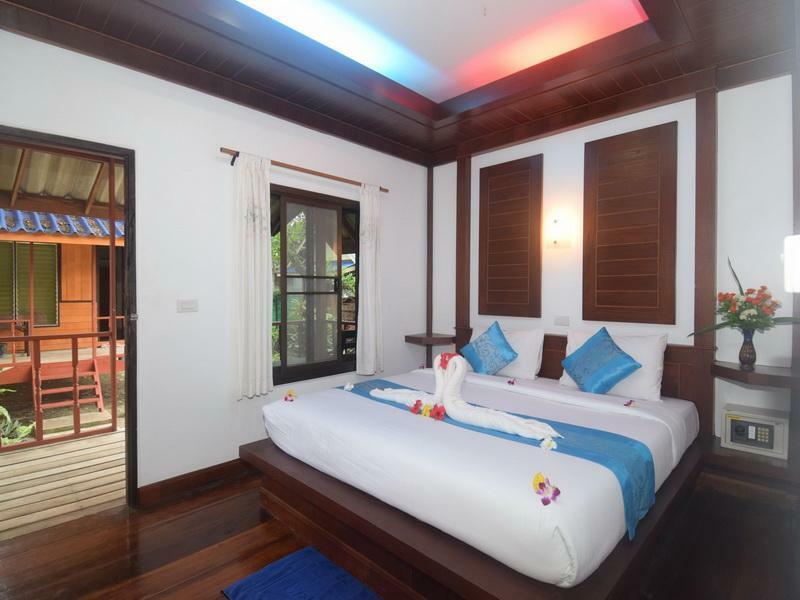 It was a last minute choice to visit the island Koh Lanta . Was searching a cheap place to sleep . Very surprised when I arrived . 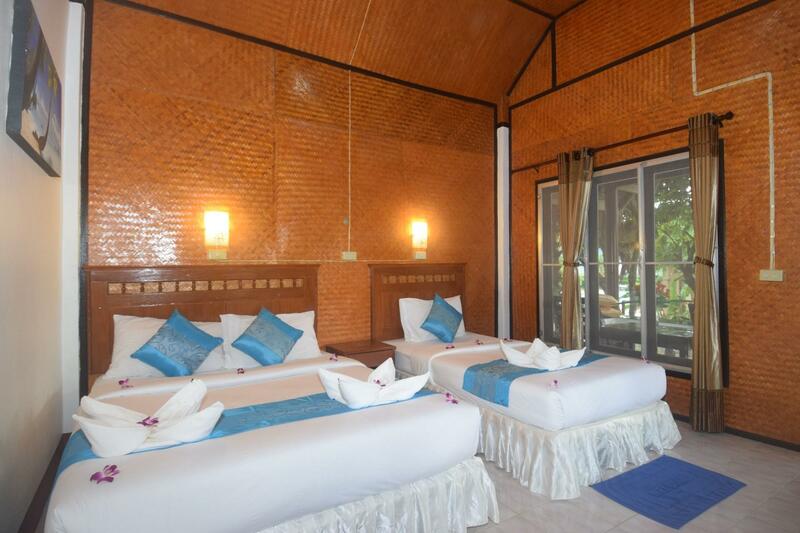 It is like a bungalow resort with swimming pool and 2 min walk to the beach . The staff is very very lovely and helpful ! I was feeling very good and happy there . Is a quiet place . Clean !! !You will never get these kind of service for the same price in other hotels / hostels . If I ever will go back to Thailand than only to Koh Lanta ❤️! Thanks again to the nice woman crew !!! clean dorm, good bathroom, awesome pool, right on the beach first mattress was horrendous (very springy) but got moved to a better one. 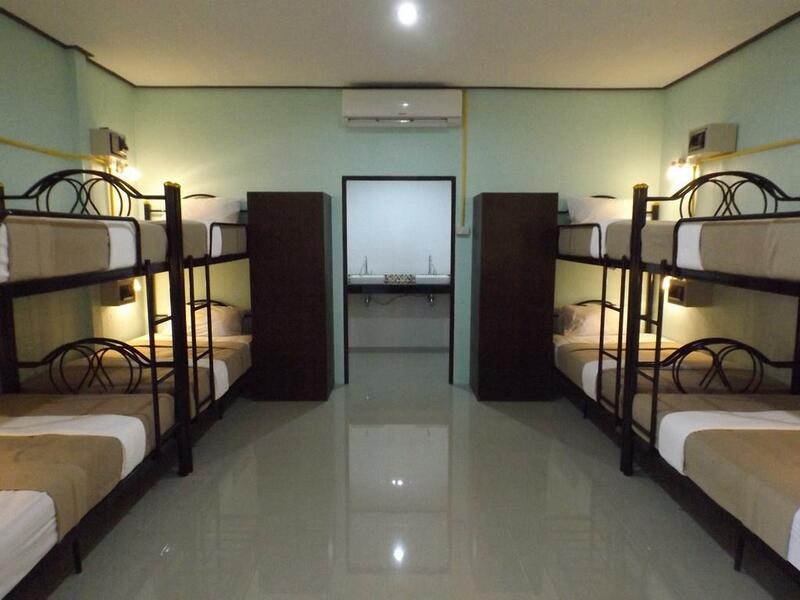 Clean and spacious dorm, with lockers and curtains. Clean bathrooms, nice outside chill area where people hang out in the evening. Very nice swimming pool and next to the swimmingpool there is a little alley which takes you to a big beautiful beach! Great atmosphere, you meet a lot of nice people:) also nice bars and restaurants very close to the hostel! I had an amazing stay! I loved this place. The beds are comfy, there's loads of room in the dorm and space outside to hang out, and a fridge to put your stuff in. The pool is an absolute winner and you're only a minute from the beach. 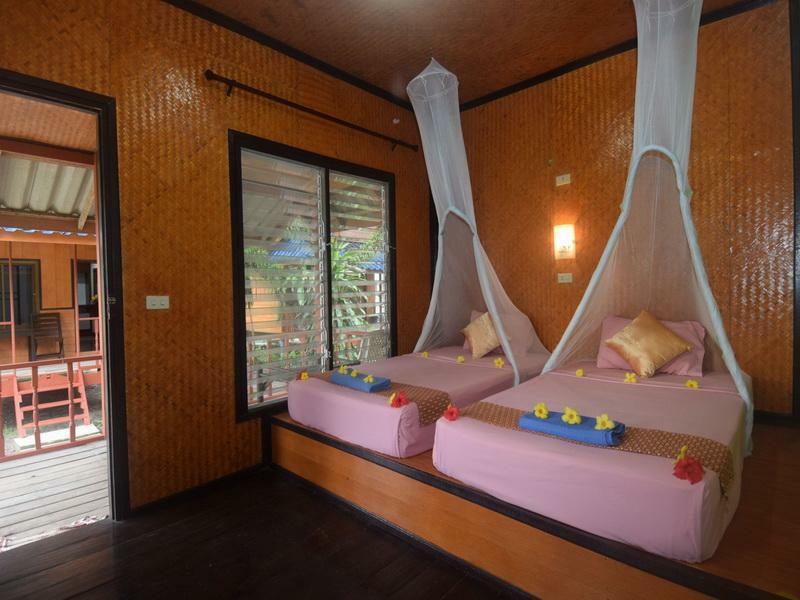 It has a nice pool, is a couple minutes walk to the beach, privacy curtains, A/C and is quiet. There is 7/11, good restaraunts and bars an easy walk away. Breakfast is just toast with butter and jam and coffee and tea but it's more than you have most places. The common area has a couple of hammocks and tables but make sure to bring the bug spray if you relax out there. Overall I had a great stay and would recommend it for solo travelers. The curtains around each bed are great for having your own space within a dorm. Facilities are modern and clean. Close to the beach and some great restaurants nearby. Hotel staff will sort out day trips, excursions and transfers for you. Overall, very positive! Felt a tad unwelcome in the beginning but soon changed. Beach has a few rocks but pool is great. Breakfast was not topped up and was empty for 2days which was a bit disappointing but the room is top notch, clean and new and the bathrooms are awesome. Hammocks to lounge on and tables to socialise. Hostel is far better than the bungalows. Food as restaurant was awesome and cheap. Great place to stay. It has its own swimming pool. A short walk down an alley at the corner of the property and your on long beach. Lots of restaurants nearby on the main road. Kept very clean. The owner came over and chatted with is at night. The owner was not there when I checked in only his parents? Who don't speak much English but still managed to check in ok but didn't really know where the beach was or anything had to ask others in the room.